This information is provided by Fairview Sailing. Please confirm all details direct with them prior to booking. 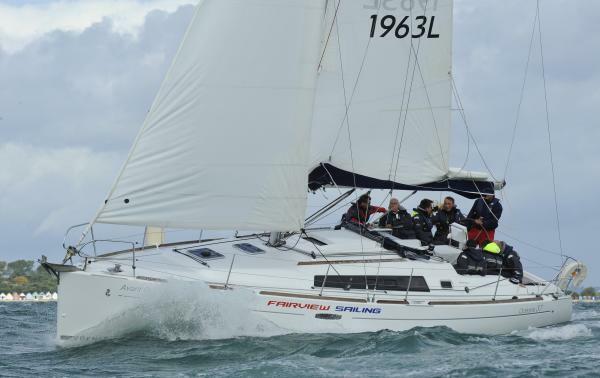 Yachting Limited neither endorses Fairview Sailing nor guarantees the accuracy of this listing. 2010 will see our fleet being complimented by the addition of more brand new yachts and the guarantee of continued first class service and support for your charter. Now entering our 22nd year as a charter operator, our procedures have developed to such an extent that our yacht preparation and service is unsurpassed in the Solent. We have ten highly experienced staff trained in all aspects of yacht management ready to satisfy your varied requirements. The bar and restaurant facility overlooking our fleet makes an ideal point to meet, plan and then afterwards spend time reminiscing over your charter. We are situated in the heart of the picturesque village of Hamble, adjacent to the mouth of the river, directly opposite Cowes and perfectly placed in the central Solent allowing you to either cruise the local waters or head off across the Channel. We all look forward to welcoming you aboard during the forthcoming season. The details of the yachts below are indicative. The specifications (including the number of berths, cabins and heads) of Fairview Sailing's yachts may vary. Please confirm the details with Fairview Sailing. There are no user reviews for Fairview Sailing yet. Be the first to add a review.